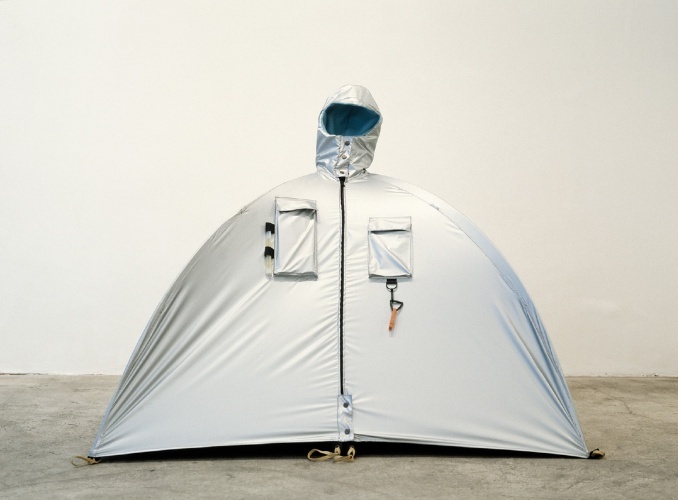 Refugee Wear is a project that consists of a series of temporary shelters that can transform itself into items as clothing and transport bags. Habitat, for example, is a prototype that looks like a mountain retreat, which provides a comfortable place to rest. 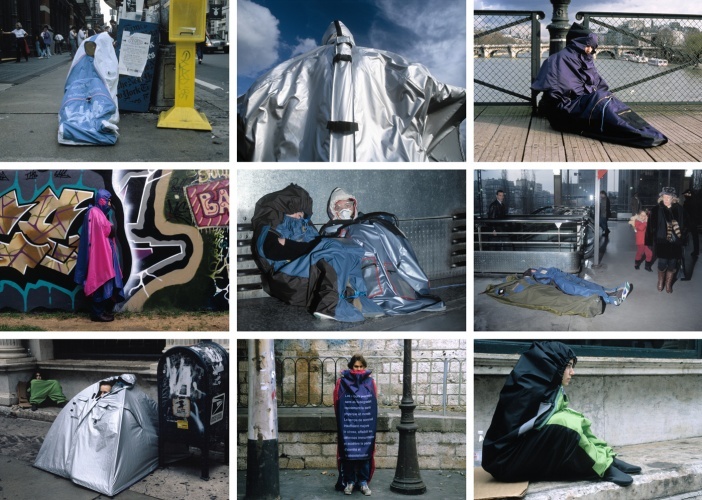 The artist has developed the series Refugee Wear in collaboration with some homeless people whose paths she had followed over a number of years. These prototypes offer possible solutions to improve homeless peopleâ€™s lives and providing temporary protection and shelter in case of natural disasters.